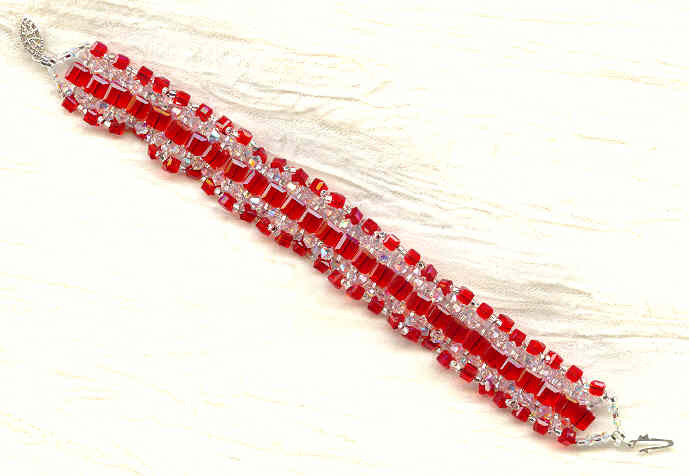 This ribbon bracelet features a base of 6mm Swarovski crystal light Siam ruby cubes, flanked on either side by a fringe of clear bicones and light Siam ruby cubes. 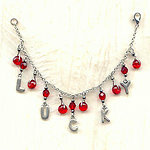 This lacey lovely is a generous 8 inches long, and closes with a vintage silverplate safety clasp. We're known for our innovative styling here at SPARKLE PLENTY.